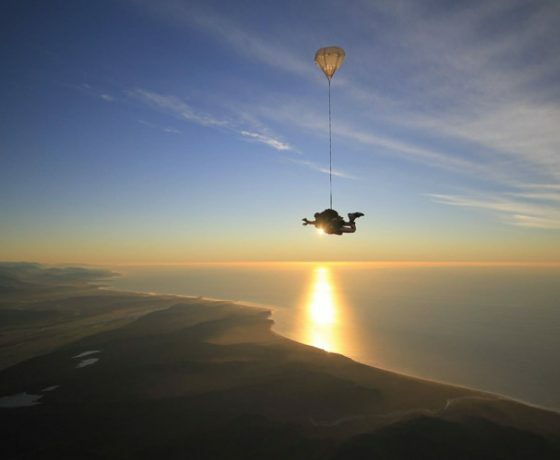 Skydive Franz is one of only nine skydiving companies to make the Red Bull list of the Most Insane Places to Skydive in the World. 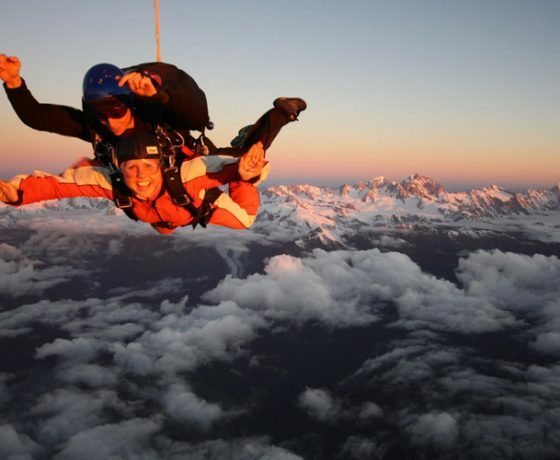 The list features the most stunningly beautiful skydives in the world and Red Bull say if you’re going to skydive you might as well have a jaw dropping view in the background. 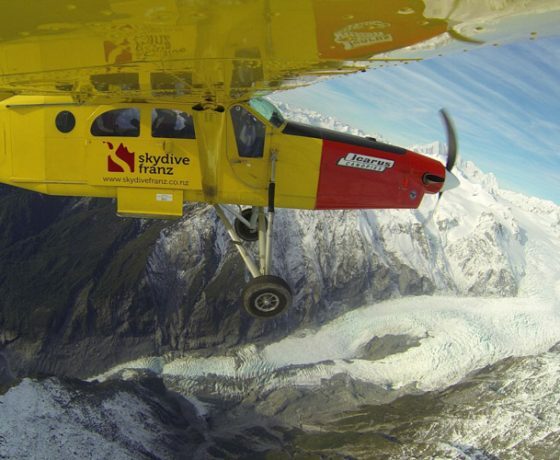 Skydive Franz has New Zealand’s highest mountain Aoraki/Mount Cook and the biggest glaciers Fox and Franz Josef Glaciers immediately on the right and the wide blue ocean on the left. 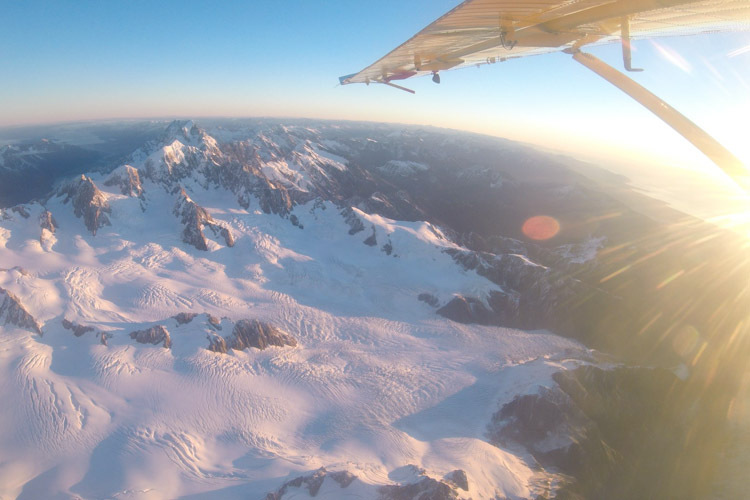 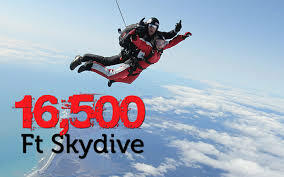 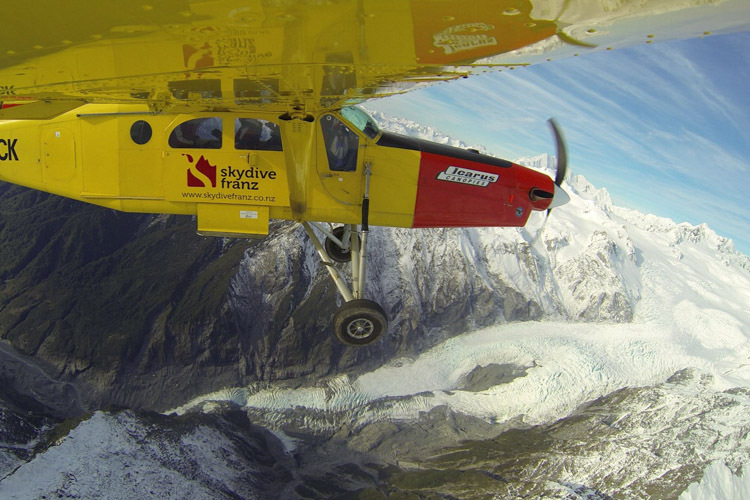 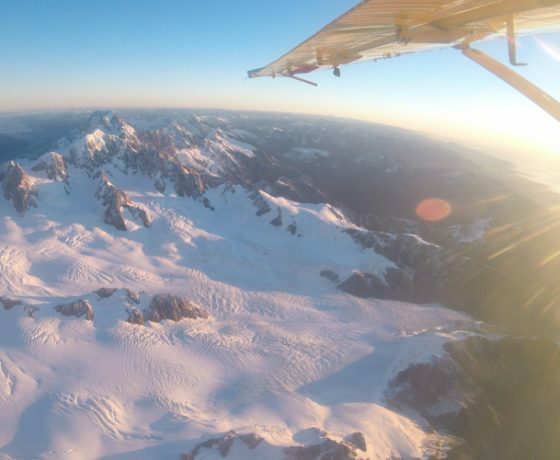 Skydive amongst mountains, glaciers, lakes, rivers and ocean views. 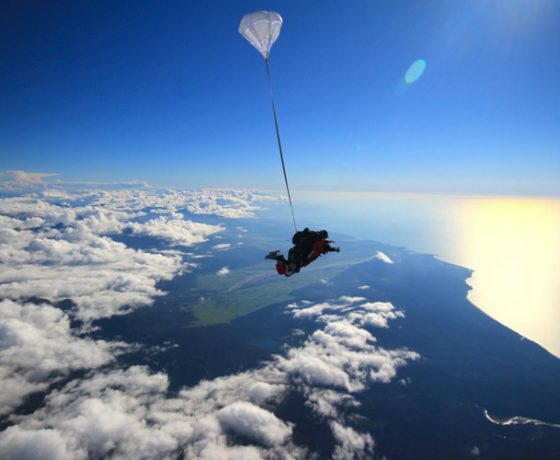 Need more proof this is the best place in the world to skydive? 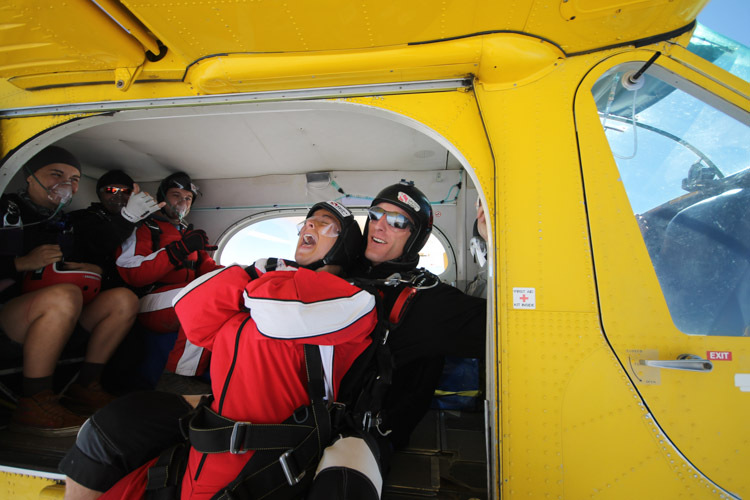 Check out gallery below, the photos and video speak for themselves. 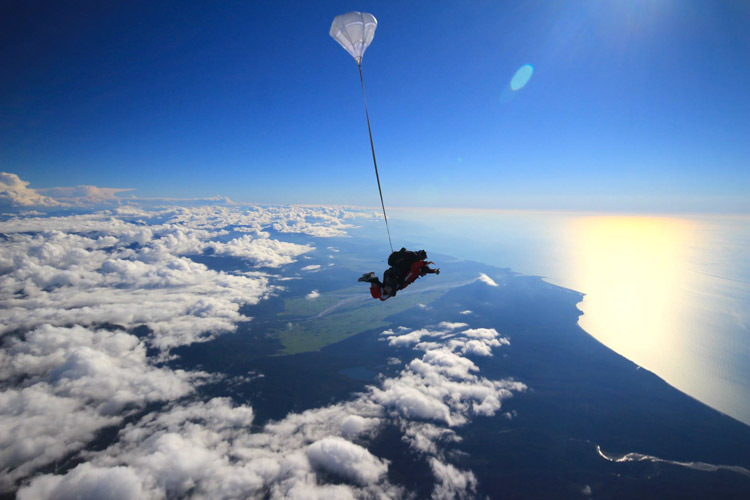 It’s not all about the iconic scenery though, Skydive Franz is New Zealand’s premier skydive company specialising in safety and fun. 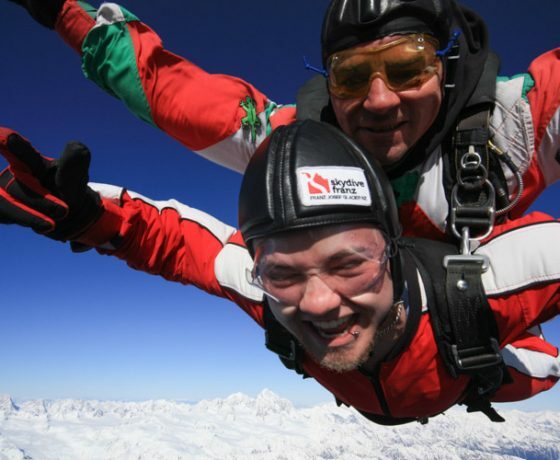 Although we’re a large company we only take small groups at each time slot so we can spend time with you and ensure you get an encouraging, friendly experience. 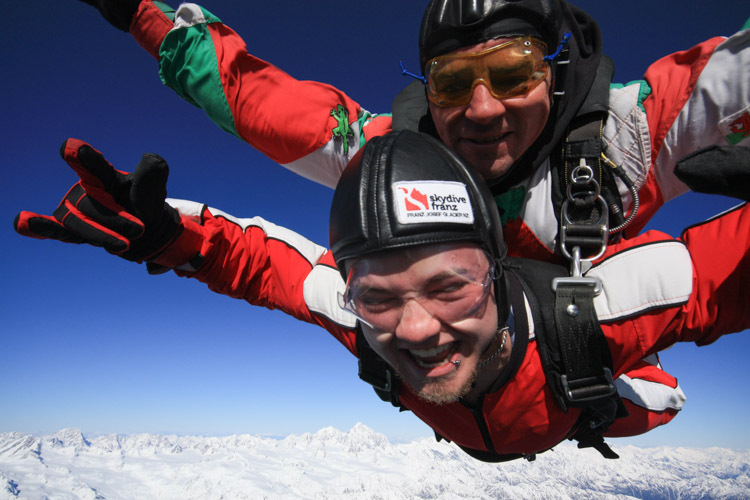 We’re one of only a few government safety approved skydive operators and are dedicated to the highest level of health and safety practices. 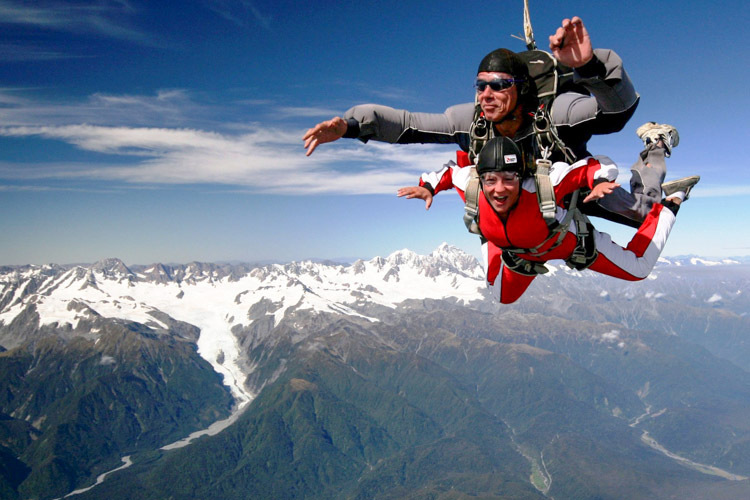 We are the only skydiving operation in the region’s largest town – Franz Josef Glacier. 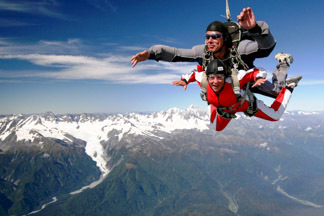 Franz is the area’s main visitor destination and has numerous world-class restaurants and cafes, a multitude of accommodation options, supermarket, hot pools, great bars, friendly people and more. 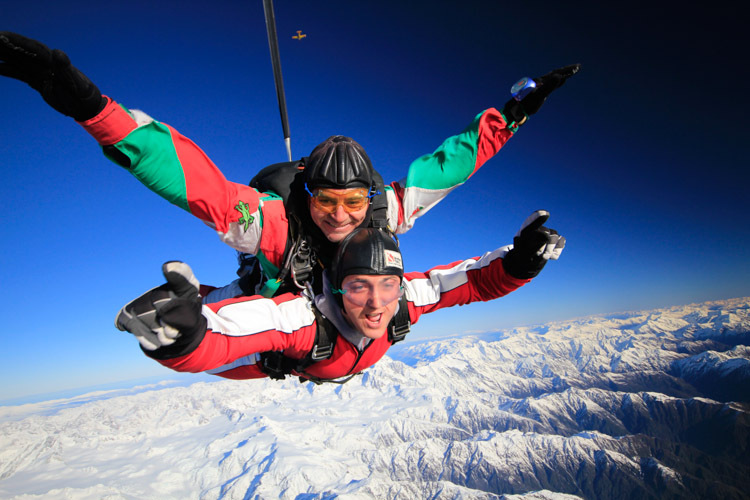 Our booking office is on the main street and we’ll transport you to our dropzone at the region’s largest airport which is only five minutes drive from the office. 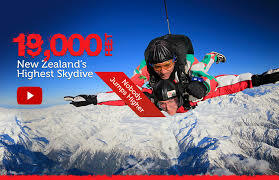 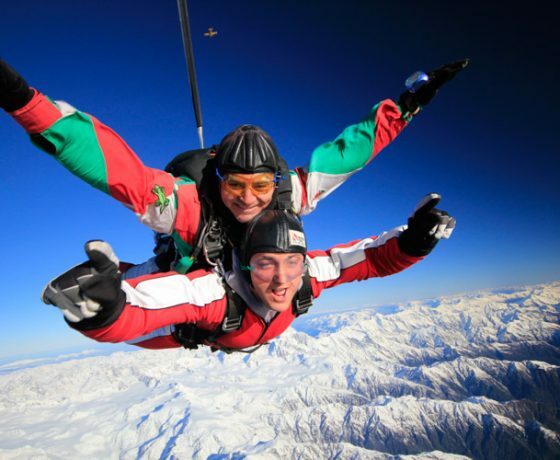 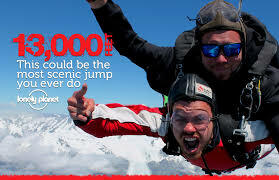 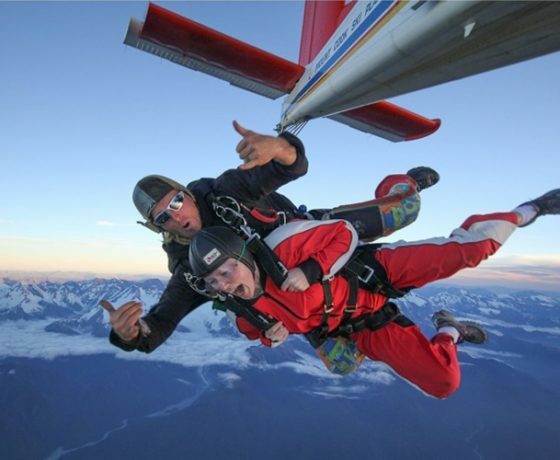 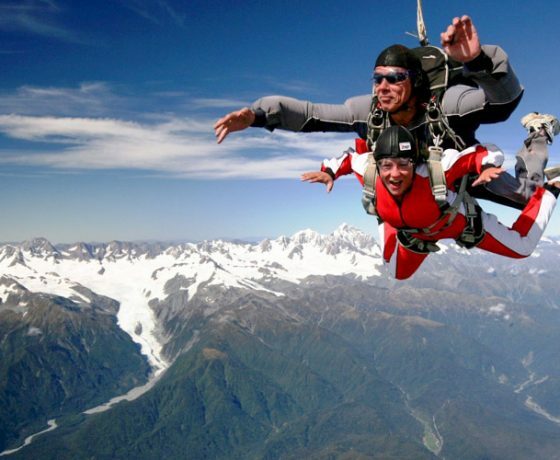 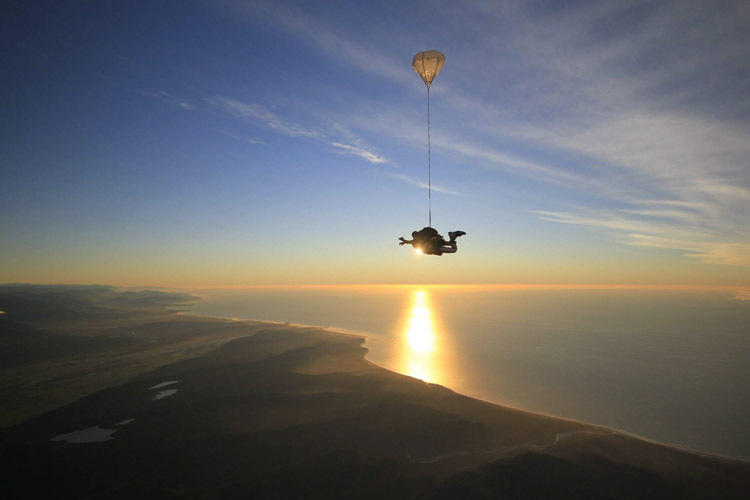 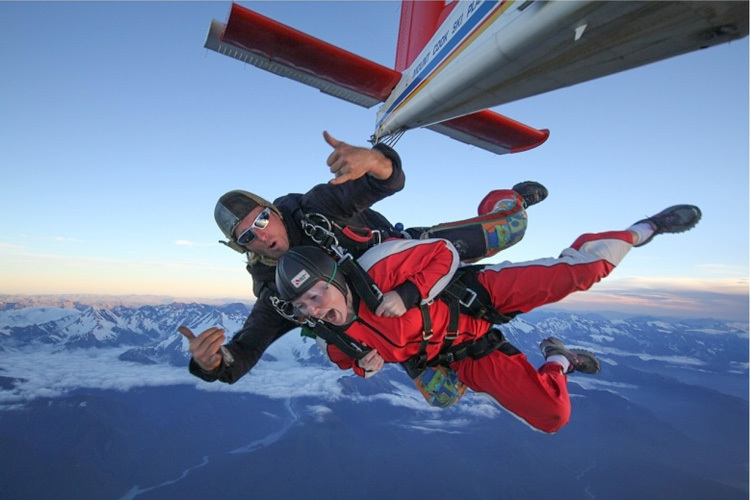 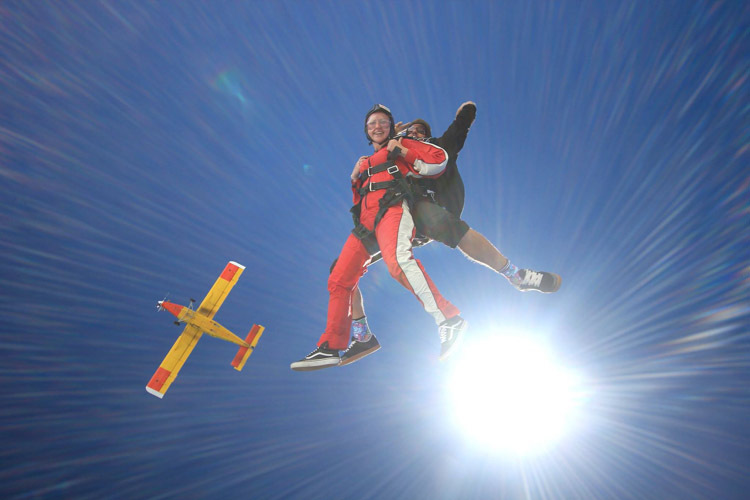 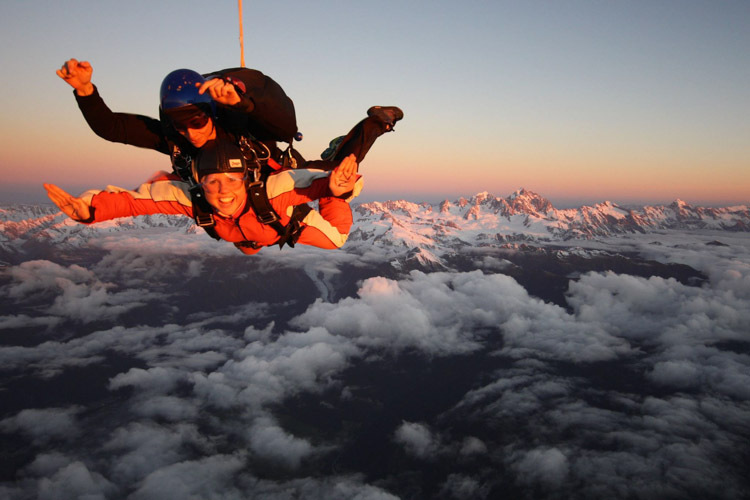 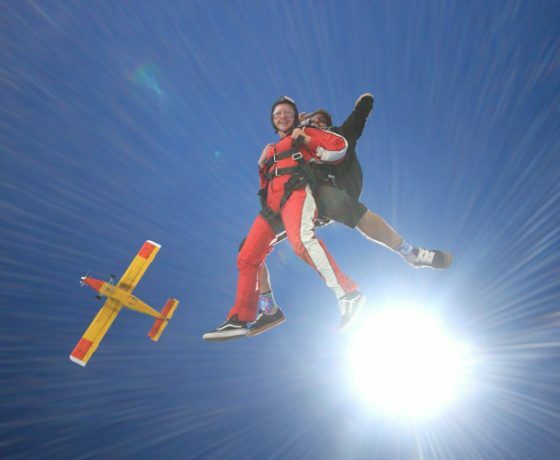 Jump Height: 19,000 feet Are you brave enough to choose NZ’s highest skydive?